Seamless integration and automation of different business functions and channels of a company’s operations is critical to improve the workflow and on-time delivery of products and services. Integrating a unified platform for CRM, ERP/Accounting, and eCommerce will result into improved productivity, and has become clearly a requirement for every market, including retail sector businesses like Furniture retail. The supply chain for furniture companies has also evolved with availability of multi-channel options like wholesale, retail and e-commerce platform. 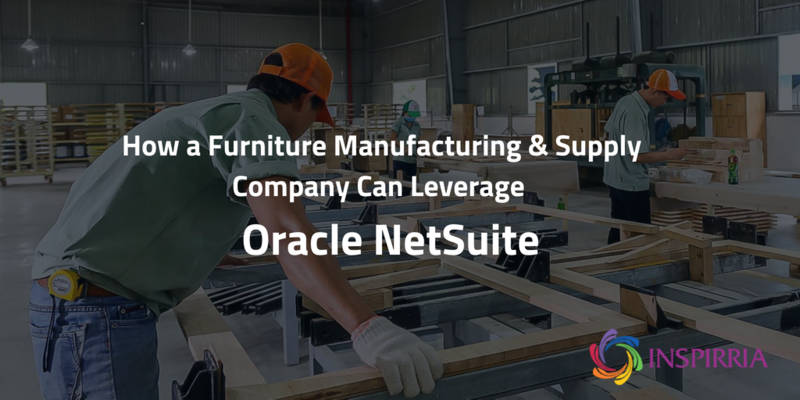 For furniture suppliers, in order to meet and exceed customer expectation, an integrated business solution with ability to scale and customization can go a long way to bring in more agility and drive growth. Deployment of NetSuite can help in effectively managing the financial aspects such as claims, purchase orders through a unified cloud platform. The service helps in providing a real time visibility into the financial health of the company, with a detailed breakdown of transactions. NetSuite’s financial management solution, along with business insights capabilities, helps in integrating all the mission-critical processes, thereby, making the entire financial process chain more efficient. NetSuite’s deployment results in an improved inventory management and continued inventory enhancements. The application provides real-time visibility into inventory stock and helps in managing end-to-end inventory and inbound/outbound logistics, thereby, helping companies to do an efficient capacity planning in order to cater to customer demand. Other key features of the solution are advanced capabilities like Wave management, regular inventory updates, and integration with shipping systems. Inventory control, timely fulfilment and cost savings are some of the derived benefits of a successful inventory management. Efficient, transparent and automated order fulfilment process is the key factor, which can help to differentiate your business and lead to a loyal customer base. Implementation of NetSuite can help your business to achieve better order fulfilment accuracy, preventing manual bottlenecks and errors leading to improved customer satisfaction. The solution is deployed across the entire process chain, from sales quote to order fulfilment and delivery. The order and billing management capabilities of NetSuite can be seamlessly integrated with in different business functions like sales, finance and fulfilment, helping improve the accuracy of the quotation, ruling out any rudimentary errors in billing and strengthens the overall revenue recognition process. NetSuite excels at streamlining business operations and has emerged as the #1 cloud ERP system in the market. Currently, more than 40,000 organizations and subsidiaries in 199 countries use NetSuite – making it the leading cloud ERP. NetSuite was demonstrated as a leader by Gartner in the MQ for Cloud Core FMS for midsize, large and global enterprises, 2018. The cloud solution helps a furniture supply companies to make informed business decisions and provide engaging customer experiences with a single source of customer, order and product information, enabling them to significantly lower IT costs while increasing productivity.